Everyday Life and the Utopianism of Form in Anthony Trollope’s The Fixed Period. The Usual or the Utopian? Rather than treat the usual and the utopian as mutually exclusive, in this essay I explore how the tension between the two can help us see the peculiar congruence of what both categories imagine as the subdued affective intensity of everyday life: an enervated yet persistent energy, ongoing yet impermanent, constituted by both closure and openness. Trollope’s series novels appear particularly attuned to this low-intensity affect, one that Fredric Jameson identifies with the ascendancy of realism in the mid-nineteenth century, a period during which “the isolated body [began] to know more global waves of generalized sensations” (Antinomies 28).2 Elsewhere, Jameson links this same sense of generalized feeling to the unique affective problem explored in utopian fiction, a problem in imagining a reality “reduced to daily life as such” and “our own existential reluctance to embrace such a life” (Archaeologies 188, 190). In these respects, I agree with Langbauer in seeing Trollope’s series novels as utopian in the sense of everyday life they seek to realize. But rather than look to the form of his series novels to understand this affective force, I turn to an unlikely work as a means of illustrating the persistence of this tension beyond Trollope’s series novels: his late work of science fiction, The Fixed Period (1882). Rather than treat this text as an anomaly within Trollope’s larger body of work, as critics tend to do, I demonstrate how the novel struggles to capture the affective and thematic concerns of the series through the adoption of the plotlessness of utopian fiction. The Fixed Period explicitly deals with the affective paradox required to bring a utopia into being: the creation of a utopia requires a kind of (narrative) energy quite unlike the affective calm its achievement ultimately seeks to install. However, the novel ultimately fails to maintain the peaceful perpetuity it promises once stronger affective influences emerge and incite narrative action. As a single-volume novel narrated in first-person, The Fixed Period is clearly a departure from the form of his series novels; as a narrative set on a fictional island nation in the South Pacific roughly one hundred years in the future, it seems a departure from Trollope’s usual topoi, too. Yet it is not despite but because of these differences that The Fixed Period reads less like a dystopian image of a world beset by overpopulation and more like a utopian solution to a formal problem. Valuing as he does principles of moral constancy and conscientious thought over the course of his series novels, Trollope conveys a much more immediate sense of what this kind of constancy feels like on the level of an individual novel: slowed to the measure of everyday life, a unique sense of change over time and steady persistence despite continual wear emerges from his interconnected narratives by virtue of their uneventful nature. In The Fixed Period, Trollope adopts a satirical take on the extremist politics and policies of his era while advocating for a situated, gradualist perspective on historical change. Attending to Trollope’s conception of the utopianism of novelistic form has two implications. First, Trollope works against the prevailing thought of his time to understand utopian fiction not as speculative but stubbornly social and presentist in its aims. Preceding the wave of energetically didactic utopian novels generated at the end of the century—including but not limited to Edward Bellamy’s Looking Backward: 2000–1887 (1888) and William Morris’s News from Nowhere (1890)—Trollope adopts a satirical take on the extremist politics and policies of his era while advocating for a situated, gradualist perspective on historical change.3 Second, but crucially linked to the first, Trollope re-imagines the affective dimensions of novelistic form as utopian at a crucial time: rather than encourage change or incite revolution, novels, Trollope insists in his late work, are the site of tarrying with the ordinary or the usual, and of seeing the value of incremental affective recalibration, an increased awareness of and attunement to changes in life over time. We might treat this affective recalibration much like Anahid Nersessian who describes the utopian appeal of “adjustment,” understood “as a formal as well as an ethical operation that allows human beings to accommodate themselves to the world by minimizing the demands they place upon it” (3). By practicing the “kindling and curtailment of utopian desire” through constraints placed on compositional practices, Nersessian finds, writers in the nineteenth century committed themselves to “dismantling what is morally and materially unviable in this world”: the exploitative, extractive relationship we bear towards the environment and to other peoples (9, 13). I argue that Trollope similarly attempts to invest the novel with the means of capturing our ability to question, recalibrate, and redirect our “ordinary” or “usual” affective states. Underscoring the inchoate and interstitial sensations that make up what we come to think of as amounting to a change in the affective terrain of everyday life, Trollope ultimately looks to understand an emergent feeling for the world, one attentive to the ongoing maintenance of life in the face of similarly incremental but monumental changes to social reality and a gradual scaling up of our individual impact on the lives of others. SERIALIZED IN BLACKWOOD’S magazine from 1881 to 1882, The Fixed Period at first seems radically different in temperament and theme from Trollope’s “usual” fictions. Taking place a full century in the future on a fictional island nation in the South Pacific named “Britannula,” the novel follows the events that unfold after the British ex-colony votes into law the titular “Fixed Period.” The Fixed Period standardizes the span of human life at sixty-seven and a half years: exactly one year prior to term, law-abiding citizens enter a state-subsidized college (bearing the unfortunate name “Necropolis”) where they will spend their final year under the supervision of attendants before, on the date of their “departure,” they are euthanized with an overdose of morphine and subsequently cremated. The primary purpose of the Fixed Period is to remedy the future economic burden faced by the nation: “[i]t would keep us out of debt, make for us our railways, render all our rivers navigable, construct our bridges, and leave us shortly the richest people on God’s earth!” Trollope’s narrator and architect of the Fixed Period law, President Neverbend, exclaims early in the work (8). But Neverbend also intends for the law to initiate a large-scale transformation in the affective conditions of everyday life. The Fixed Period law, he insists, “consists altogether of the abolition of the miseries, weakness, and fainéant imbecility of old age, by the prearranged ceasing to live of those who would otherwise become old” (6). Neverbend identifies the kinds of widespread social relief the Fixed Period law will yield by referring principally to its emotional relief on the individual level—“no senile weakness, no slippered selfishness, no ugly whinings of undefined want” (91). By enforcing a Malthusian logic of self-selective extinction that will “correct” for overpopulation, Neverbend hopes to eliminate the fear of death and engender a sense of responsibility to the future of humanity in every citizen as a means of correcting for wanton population growth and resource depletion. The Fixed Period shares a formal problem with its series predecessors: the inertial, almost glacial pace of a narrative that dwells on the affective dimensions of everyday life. Yet despite these differences, The Fixed Period shares a formal problem with its series predecessors: the inertial, almost glacial pace of a narrative that dwells on the affective dimensions of everyday life. Even in a literary genre that might afford transformations that would transcend the placidity encountered in Trollope’s earlier works, the utopia here imagined is positively ordinary, remarkably similar to everyday life in nineteenth-century England. The Fixed Period focuses extensively on the conditions under which its utopia will function and, over the course of several chapters, merely enumerates the idyllic features conducive to bringing it into being: fertile land and a plentiful stock of sheep together present promising conditions for trading wool, while the pristine and bustling streets of Britannula’s capital, Gladstonopolis, reflect a similar clarity in its social vision. (Indeed, the abolition of the death penalty and the legalization of cremation, which were disputed in England well after Trollope’s death in 1882, are surprisingly radical inclusions in Trollope’s novel, outshined as they might be by the Fixed Period law.) Like in his past works, the novel seeks out questions of polity and practice, often idealizing these efforts as heroic, almost Herculean in scope. Neverbend imagines that the Fixed Period law will solve all existing social problems, but he also understands that it can only do so by generating an atmosphere more conducive, more congenial, to living a rich, full, and productive life—indeed, in eliminating the sense of trepidation and hesitation with which one approaches the end of life. Indeed, the strongest claim to its benefits concerns the affective lives of generations to come: “All the existing ideas of the grave would be absent. There would be no further struggles to prolong the time of misery which nature had herself produced” (9). Although he acknowledges the objection that, at the present moment, “the old themselves would not like it,” Neverbend projects that the emotional benefits will be paid out to future populations, for whom the fear of death will no longer mar their enjoyment of life (7). As in his series novels, placidity betrays a fervent struggle underneath an otherwise calm surface. As Neverbend recounts in the opening chapter of the novel, the largest obstacle encountered to implementing the Fixed Period comes not from the legislative barriers to the law’s practice, but rather from the ambivalence of the elderly subject of the inaugural deposition, Gabriel Crasweller, who is Neverbend’s colleague and close friend. As Neverbend is eager to remind readers, the success of the system is wholly premised on the first example and the “willing obedience” of the first party: it “should be effected with some éclat of voluntary glory,” so as to demonstrate its beneficence and to encourage subsequent electors (40). As the narrative progresses, Neverbend repeatedly attributes the public’s growing uncertainty concerning the Fixed Period law to Crasweller’s “personal feeling,” which, despite his hand in shaping the law, now prevents the soon-to-be depositee from advocating for the doctrine. Instead, Crasweller attempts to dupe Neverbend into believing that he is a year younger than his records indicate, and publicly advocates for a postponement. In Neverbend’s estimation, Crasweller’s weakness to commit to his death pales in significance when compared to the widespread, potentially global developments the Fixed Period statute will inevitably yield. “[T]hat which vexed me most was that Gabriel Crasweller […] should be anxious to throw over the whole system to preserve the poor remnant of his life,” Neverbend writes, scrutinizing Crasweller’s inability to properly measure his significance against furthering the aims of the new system (26). I sat for some time motionless, trying to turn over in my mind all that she had said to me; but it seemed as though my faculties were utterly obliterated in despair. Eva had been to me almost as a daughter, and yet I was compelled to refuse her request for her father’s life. […] I had flattered myself that I did it for the public good; but was I sure that obduracy did not come from my anxiety to be counted with Columbus and Galileo? or if not that, was there not something personal to myself in my desire that I should be known as one who had benefited my species? (111). Neverbend’s indecision stems from a kind of conflation of his personal beliefs with the larger social and political system in which he is now enmeshed. “[W]as there not something personal to myself in my desire that I should be known as one who has benefited my species?” Neverbend asks. The problem appears to be that his personal feelings are congruent with the social project he has successfully engineered. Very early in the narrative, Crasweller claims Neverbend “[has] come to be in love with deposition and departure”; shortly after, even Neverbend’s wife attests to the President’s love for the law and subsequent failure to see beyond his aims and recognize the public’s growing opposition to it (36, 55). Unlike the omniscient narrator of the Barsetshire series, then, Neverbend’s anchored subjectivity and perverse social aims cannot realize the minds of others. Judging from the perspectives presented by the other characters in the novel, it is transparent that Neverbend’s inaction stems from a refusal to see the dangers of the Fixed Period law; yet from his own perspective, it appears as a genuine inability to feel them, a form of hardness won from years of advocacy and the potential of the current socio-political moment in which the Fixed Period doctrine might finally, at long last, come to pass. In the confluence of forces that have finally enabled his fellow citizens to accept the practicality of the Fixed Period, Neverbend sees firsthand an unprecedented opportunity to alter the course of human history at the level of feeling. While the citizens see the law as a rational and just measure, Crasweller demonstrates that the affective barrier to willing one’s own death becomes more intense the closer one gets to the fatal act. Neverbend goes to great lengths to bridge the utopian ideal and its reality by way of frequent appeals to the courage and heroism of the first depositee. But the second obstacle comes too from Neverbend’s own struggle to act on his ideals, to convince Crasweller and the public at large that the Fixed Period will institute a veritable utopia in Britannula, and after will quickly expand, as he constantly claims, to become an “absolutely benevolent project for the governance of the world” (123). It would seem, then, that part of enacting the law comes from becoming swept up in a larger current of its promised affective transformation: “I could easily let the law die away,” he comments regarding Crasweller’s upcoming day of deposition, “but it was not in my power to decide that it should fall into partial abeyance,” suggesting that the possibility of its passage is now a facet of inevitable historical development rather than mere individual tenacity (101). The alteration in human norms, which must take place at the level of feeling and which Neverbend imagines as a sea-change after the first deposition, invokes the gradual transformation of global affect that Foucault situates at the emergence of biopolitics. As indicated above, the success of the Fixed Period system depends wholly on the first subject, the individual who submits willingly not only to the law but to the idealism of a future without the burden of death—a future in which the natural fear of one’s own death has been eradicated and in which giving up “the continued maintenance of those whose cares should have been made to cease” has finally yielded immense socio-economic gains (6). In this sense, the largest obstacle to the Fixed Period law comes from the passage from law to norm, the imperceptible historical process through which the legislation of a set term of life is no longer imposed from without but felt from within and followed without hesitation or question. This alteration in human norms, which must take place at the level of feeling and which Neverbend imagines as a sea-change after the first deposition, invokes the gradual transformation of global affect that Foucault situates at the emergence of biopolitics. Foucault’s formulation has been used to articulate how a global transformation in the conditions of life in the nineteenth century—most notably, via overpopulation—produced political strategies capable of managing life, a historical moment “when the life of the species is wagered on its own political strategies” (143). This imperceptible shift in affect is facilitated by a change in the status and function of law itself: no longer concerned with taking life, “display[ing] itself in its murderous splendor” as a means of upholding sovereignty, the law has the power “of distributing the living in the domain of value and utility,” impacting how individuals feel in relation to their own worth (144). The Fixed Period law is similarly charged with effecting the regulation and management of life rather than authorizing death, which it ostensibly achieves by conflating the two operations. While Neverbend is less interested in the “politico-economical view,” the critical distinction between “brutal modern invention” and “beneficent modern theory” depends on it: the law is difficult to justify when deposition looks like a death sentence, a means of simply eliminating “the old and effete,” rather than a redefinition of the terms of life itself to ensure “the welfare of those who were to remain” (7, 117, 171). In order to stress its character as the management of life rather than consignment to death, Neverbend provides readers with a guided tour of the Necropolis to demonstrate the humane dimensions of the process.6 The beatific “hamlet” is described in detail over the course of a chapter titled “The College,” a title referring to Neverbend’s intention to “make the spot cheerful, rather than sad,” associating it with collegiality and community despite its namesake. (“Young Grundle has suggested Cremation Hall, because such was the ultimate end to which the mere husks and hulls of the citizens were destined,” Neverbend notes. “But there was something undignified in the sound,—as though we were talking of a dancing saloon or a music hall…”) (82).7 While Neverbend intends to represent the Necropolis as a pastoral retreat, little can take away from the furnaces and smokestacks, or the smell of burnt pig flesh produced by an unfortunate experiment meant to demonstrate the odorless dissolution of human life (83). Jameson argues that utopian fiction always centers on a tension “between the timeless placidity of… achieved Utopias and the enormity of the social ills and evils that lends the Utopian solution its urgency and passion” (188). In The Fixed Period, Neverbend’s utopia-to-come—a world unburdened by the elderly—is consigned to enervation and impossibility for a similar but qualitatively different reason: the kind of transformation in everyday life Neverbend seeks to create for the citizens of Britannula, a transformation that would eliminate old age as a “social ill,” can only come to pass from an “urgency and passion” otherwise missing from the proposed solution, for which no amount of energy on the part of the public can be summoned. Yet utopian fiction also presents, as Jameson maintains, a problem for the relationship between affect and novelistic form. The sense of “timeless placidity” that utopia seeks to create is not immediate or momentous in impact, but diffuse and durational, a matter of subtle alterations in public feeling over time; these alterations can only be represented as diffuse and durational by way of a similar narrative form. THE FIXED PERIOD thus recasts this experiential problem of utopia—the radical energy required to create a particular utopia is in conflict with the low-intensity, ordinary energy utopia strives to install in its place—as a formal problem: a one-volume novel is too short to effectively inculcate anything close to the durational affects encountered in Trollope’s series novels. Neverbend’s brief retrospective narrative fails to provide a sense of the urgency behind the struggle itself, at times challenging the very uniformity of sentiment he seeks to institute by way of the law. It is impossible to make this uniform placidity felt, in part because it is difficult to imagine such a radical transformation occurring all at once, and in part because the kind of affective transformation intended—incremental and futural, an opaque sense of one’s life as a known period of time—is premised on a gradual shift that can only be effected by transformations over time. It is immediate to see in the feeling captured in The Fixed Period a trace of the author’s own anxieties. As Andrea Charise has illustrated, the panic raised by the demographics of ageing in the novel maps on to the ageing body of the author, “overlapping so conspicuously with Trollope’s view of his own quantifiably productive utility” and resonating with his fears for his diminishing capacity to work (12). Yet The Fixed Period’s formal departures are more than an affective byproduct of late style. The exercise Trollope places on his readers in The Fixed Period is without precedent: to think of the formal conventions the author painstakingly established over roughly 40 years and approximately 47 novels and, in a single, short, unusual work, repudiate them. That this exercise takes novelistic form is not surprising. As Jameson reminds us, utopia is simultaneously a question of “the future of a literary genre” and of “a political program” (211). The Fixed Period thus dramatizes what is at stake for Trollope’s series novels, their attempt to understand the tension between the insidiousness of maintaining the usual and the real struggle in affecting any measure of social change. In a novel focused on one leader’s aims to remap the terrain of human feeling, to eliminate the kinds of weakness that make subjects cling to life long after their lives hold social value, Crasweller’s submission, despite his demonstrated health and vigor, represents a profound reversal. Unlike Neverbend, Crasweller has “no high feeling as to future generations,” but a lower kind of feeling of loyalty and commitment to family and tradition. Like his namesake, Neverbend remains obdurate in the face of Crasweller’s humble submission, although in a moment of weakness, he confronts his own inability to force his friend to commit to death: “I have none of that steel and fibre which will enable a really strong man to stand firm by convictions even when opposed by his affections,” Neverbend observes, continuing “To have liberated Crasweller at this moment, I would have walked off myself, oh, so willingly, to the college!” (99). The affective dilemma presented in The Fixed Period emerges out of a similar problem in Trollope’s series novels, a formal problem the author has otherwise meticulously developed: the actions taken by characters that would afford the resolution of the narrative only further reveal that the narrative could truly continue despite the actions of any character—in fact, that the very stalemate achieved in terms of narrative inaction yields a potentially endless narrative, the continual checks and balances that would drag the novel into an unending cold war between seemingly fundamental oppositions like the stubborn conversation of tradition and the radical reformation of society. It is all the more interesting, then, when a conventional form is suddenly reprioritized in this utopian novel: the marriage plot. The change in public feeling towards the law that develops around Crasweller draws in characters who have otherwise been occluded in the narrative—namely, two young lovers, Jack Neverbend and Eva Crasweller. While Neverbend begins to investigate rumors of Crasweller’s defection, his son Jack becomes interested in Crasweller’s daughter, who vocally denounces the Fixed Period law and her father’s eminent deposition. Eva makes it explicit to Neverbend that Jack can only marry her if her father’s deposition is postponed: “‘I do love him better than any one in the world,’” Eva states, “‘But as things are, I can never marry him if papa is to be shut up in that wretched City of the Dead’” (109). Jack becomes an “anti-Fixed-Periodist,” publically advocating for Crasweller’s freedom and seeking, in turn, Eva’s trust and affection. Quite suddenly, Neverbend, who is otherwise focused on the plans, procedures, and policies of his utopia, is now distracted by a more familiar form of feeling and narrative drive: desire. Appearing midway through the novel, the marriage plot overtakes Neverbend’s narrative. 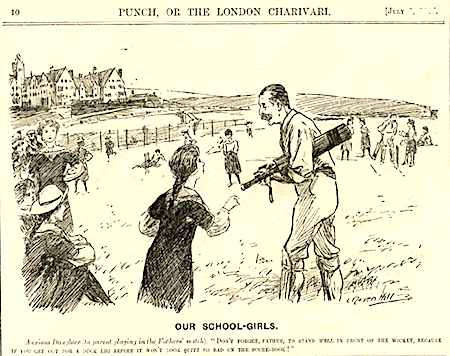 Despite himself, Neverbend wanders into passages explaining developments in an emerging web of desire: Eva, who is no longer betrothed to Grundle, becomes the love interest of Sir Kennington Oval, a British cricketeer who has arrived on the island to prepare for the upcoming international match against Jack and the Britannulists. A palpable tension develops in the novel between the plotlessness of Neverbend’s narration and the emergence of a very familiar novel plot, to the extent that Neverbend openly remarks on the disruptions as impositions on his narration: “‘I don’t think that we need bring Jack and his love into this dispute,’” Neverbend states when attempting to discuss the matter of Crasweller’s deposition, insisting that all parties “keep these two things separate… in discussing the momentous question of the Fixed Period, let us forget the loves of a boy and a girl” (38-39). Failing to heed Neverbend, the people of Britannula turn their attention to Eva and Jack, rallying behind a stronger kind of affective bond that in turn underscores how little they can sympathize with the aims of the Fixed Period. “It grieved me greatly to be told that the inhabitants of Gladstonopolis would rise in tumult and destroy the college merely to favour the views of a pretty girl,” Neverbend remarks, unable to see early in his narrative that it has become inadvertently infused with the dynamics of desire, too (47). The co-optation of the utopian narrative by the marriage plot is dramatized most clearly when Neverbend discusses the subject with Ruggles, “a man whom I regarded as indifferent to length of life,” yet who nevertheless articulates how the sentiments surrounding Eva will disrupt the Fixed Period. “‘Do you suppose that her opinion will be allowed to interrupt the laws of the whole community, and oppose the progress of civilisation?’” Neverbend asks, to which Ruggles simply replies, “‘[h]er feelings will’” (46). Ruggles’s suggestion, that the strength of personal feeling will override “the progress of civilisation,” holds true as Neverbend becomes preoccupied with persuading Jack to decouple his feelings for Eva from a defense of her father and a public campaign against the Fixed Period. Spontaneously appearing in the middle of the novel, the marriage plot quickly brings Neverbend’s utopia to an end. “I felt that there was creeping up, as it were in the very atmosphere, a feeling [that] England should be again asked to annex us,” Neverbend bitterly notes, “so as to save our old people from the wise decision to which our own Assembly had come” (68). After Britannula’s victory, the English cricketeers remain to do exactly that: for an unspecified interim period, the island is recolonized by England’s “Secretary of Benevolence,” Sir Ferdinando; immediately, the Fixed Period law is dismantled and the nation is brought once again under English rule; and Neverbend, now a solemn and disgraced ex-President, is sent off on a steamship back to England. All of the excitement that amounted to bringing Eva and Jack together, indeed, all of the narrative action and eventfulness intruding upon an otherwise plotless text, produces a very different narrative from the low-intensity, affectively diminished original. Although Neverbend’s narrative does not continue, the return of the marriage plot preempting his utopian vision of perpetual plotlessness, Trollope nevertheless manages to render this work relatively open-ended. Departing on a vessel to England, Neverbend plans to advocate for the Fixed Period abroad, unclear on whether he will be welcomed in England as an esteemed guest or as their political prisoner, an eerie parallel to becoming “deposited.” In this capacity, he reflects on how best to present the Fixed Period in order to advocate for the affective transformation he envisions for the future, and ultimately settles on the very narrative he has produced: “What shall I do with my book? Who will publish it? How shall I create an interest for it? Is there one who will believe, at any rate, that I believe in the Fixed Period?” Neverbend asks (180). This concern for presenting his utopia as a literary form is premised in part on generic ambiguity. As Jameson writes, because utopias require a “resolutely formalist” solution to come into being, “an absolute formalism, in which the new content emerges itself from the form and is a projection of it,” the founding of a utopia is always a question of how best to represent it, given that it is unlike any form that has preceded it (211-212). At the outset of his narrative, Neverbend demonstrates an understanding of these formal barriers to representing utopia as a non-narrative form. Yet the end of his narrative, he reveals that he sought to circumvent these formal barriers by way of introducing feeling: “I have put it into the shape of a story, because I think that I may so best depict the feelings of the people around me as I made my great endeavour to carry out the Fixed Period in Britannula” (176). As Neverbend has found, the act of making it a story has effectively de-formed the utopian affects—plotlessness and perpetuity, the absence of exciting (and thereby disruptive) emotions, the alleviation of ill will and want—he initially sought to represent in his narrative and in doing so, instantiate in reality. Unlike Trollope’s series fiction, The Fixed Period is not linked to an ongoing social reality. But arriving at the end of his career, The Fixed Period does represent the culmination of the affective aims of his novels. Although it occurs to Neverbend quite late that speech may ultimately serve as a better medium for presenting the Fixed Period, he suggests here that utopia cannot be narrated by conventional (re: novelistic) means. Rather, it must take the form of a polemic, a dramatic and affecting presentation that strongly impresses recipients with the force of the charge and an imperative to change, “touch[ing] the feelings of the world at large” rather than the minds of a select few. As Neverbend states at the outset of the novel, and repeats throughout his narrative, “feelings are changeable” (8). But what The Fixed Period is unable to define is exactly how long it will take for feelings to change and for such a wide-scale transformation to occur. Nor can it lend clarity to an affective transformation that must, by virtue of its dispersion and muted impact, remain impalpable. In the tradition of reading Trollope for his emphasis on psychological interiority, we might associate the twin affective and formal focus on personal feeling in the face of global transformation with the moral and political indecisionism sustained throughout his series novels and constrained to the local channels of Barsetshire. Yet unlike these works, The Fixed Period wants to capture a nascent feeling for the world as a whole. This larger affective aim is staged at the very end of the novel when Lieutenant Crosstrees, an English officer on the gunboat that interrupts the first deposition and deports Neverbend back to England to await trial, engages the now disgraced ex-President in a debate on precisely the limits of self-abnegation. “‘Strength is very strong,’” Crosstrees flatly states, “‘but it is not half so powerful as weakness’” (175). This platitude suggests that no law could ever coerce an individual to act against his or her will—in Crosstrees’s example, “‘The Parliament in England might order a three-months-old baby to be slain, but could not possibly get the deed done’” (175). But in The Fixed Period’s placement at the close of Trollope’s entire literary output, the claim that strength “is not half so powerful as weakness” reflects an attempt to reverse the already inverted affective rationale of Trollope’s series novels, in which individual moral weakness repeatedly overrides the “strength” of collective social coercion. To think of life otherwise, Trollope suggests, we might need to abandon the narrative categories by which we currently understand life itself. Baucom, Ian. 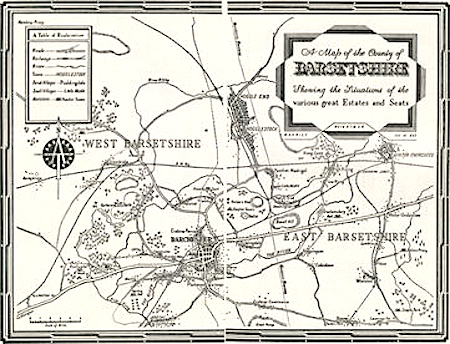 Out of Place: Englishness, Empire, and the Locations of Identity. Princeton UP, 2000. Blythe, Helen Lucy. “The Fixed Period (1882): Euthanasia, Cannibalism, and Colonial Extinction in Trollope’s Antipodes.” Nineteenth-Centruy Contexts 25.2 (2003): 161-180. Charise, Andrea. “‘Let the reader think of the burden’: Old Age and the Crisis of Capacity.” Occasion: Interdisciplinary Studies in the Humanities v. 4 (May 31, 2012), http://occasion.stanford.edu/node/96. Chase, Karen. The Victorians and Old Age. Oxford: Oxford UP, 2009. Cockshut, A.O.J. Anthony Trollope: A Critical Study. New York: New York UP, 1968. Courtemanche, Eleanor. “Satire and the ‘Inevitability Effect’: The Structure of Utopian Fiction from Looking Backward to Portlandia.” MLQ 76.2 (2015): 225-246. Dever, Carolyn. “Trollope, Seriality, and the ‘Dullness’ of Form.” Literature Compass 7.9 (2010): 861-866. Foucault, Michel. “Right of Death and Power Over Life.” The History of Sexuality, Volume 1: An Introduction. Trans. Robert Hurley. New York: Vintage, 1978. Hamer, Mary. Writing By Numbers: Trollope’s Serial Fiction. Cambridge: Cambridge UP, 1987. Jameson, Fredric. The Antinomies of Realism. New York: Verso, 2013. —–. Archaeologies of the Future: The Desire Called Utopia and Other Science Fictions. New York: Verso, 2005. Langbauer, Laurie. Novels of Everyday Life: The Series in English Fiction, 1850-1930. Ithaca, NY: Cornell UP, 1999. Michie, Elsie B. “Rich Woman, Poor Woman: Toward an Anthropology of the Nineteenth-Century Marriage Plot.” PMLA 124.2 (2009): 421-436. Miller, D.A. The Novel and the Police. Berkeley: U of California P, 1988. Moretti, Franco. The Way of the World: The Bildungsroman in European Culture. New York: Verso, 1987. Nersessian, Anahid. Utopia, Limited: Romanticism and Adjustment. Harvard UP, 2015. Psomiades, Kathy Alexis. “Heterosexual Exchange and Other Victorian Fictions: The Eustace Diamonds and Victorian Anthropology.” Novel: A Forum on Fiction 33.1 (1999): 93-118. Puckett, Kent. “‘Let’s Get Real, Real Gone for a Change’: Jameson’s Antinomies,” Victorian Studies 57.1 (2014): 105-112. Rogers III, Henry N. “The Fixed Period: Trollope’s ‘Modest Proposal.’” Utopian Studies 10.2 (1999): 16-24. Skilton, David. “Introduction.” Anthony Trollope. The Fixed Period. 1882. Oxford: Oxford UP, 1993. Trollope, Anthony. The Fixed Period. 1882. Oxford UP, 1993. Joel Simundich received his PhD in English from Brown University. This essay was the graduate winner of the 2017 Trollope Prize which is administered by the English department at the University of Kansas, with support from the Hall Center for the Humanities. 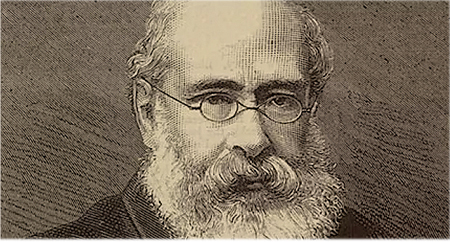 It is awarded annually to the best undergraduate and graduate essays in English on the works of Anthony Trollope. Winning essays are published in The Fortnightly Review. The Prize was established to focus attention on Trollope’s work and career, to promote the study of Trollope in college classrooms and to encourage student engagement with both Trollope’s work and Victorian literary history through intensive research and writing. Please see the Trollope Prize website for more information on the Prize. See also Carolyn Dever, who argues how Trollope’s “embryo plots” allow the author to produce “the cumulative appearance of social stability against a backdrop of dramatic and even revolutionary social change,” a sense of history as open to radical alteration, incrementally influenced by our everyday thoughts and feelings, and a guarantee that the social world is not containable and resolvable, like narrative, but ongoing, and therein capable of transformation by individual means (864). See Kent Puckett on the ambiguity of history in Jameson’s account: for Jameson, affect could be either “a fact of human existence, or […] a structural effect of a moment when society begins to change faster than emotions can manage” (110). On the shift in the utopian genre from satire to didacticism at the end of the nineteenth century, see Eleanor Courtemanche. Criticism on The Fixed Period is quite limited, and even reviews of the novel at its time of publication are scant. This dearth in critical assessments of the novel may be attributed to its anomalous appearance at the end of the novelist’s career and its oddity when read against his familiar works of realist and historical fiction. For critical perspectives on the novel, see Blythe, Cockshut, Charise, Chase, Rogers, and Skilton. Trollope had tested out a first-person narrator elsewhere, in his 1860 short story, “The Banks of the Jordan.” Inspiration for the setting of The Fixed Period (and its first-person perspective, too) may have also come from Trollope’s travel narrative Australia and New Zealand (1873). The “guided tour” is a convention of the utopian genre, the accumulation of descriptions and details that amount to a blueprint of the social project. See both Courtemanche and Jameson. Concerning the satirical dimensions of The Fixed Period, see Henry N. Rogers III. Recent work on Trollope’s marriage plots has turned to anthropology as a heuristic for understanding its structural presence in his novels. For example, Kathy Alexis Psomiades argues that the strength of heterosexual exchange as an organizing principle in Trollope, and as a structural logic in the Victorian novel more broadly, is “more a function of its effectiveness and elasticity as a fantasy than of the persistence of the ‘reality’ it describes” (112). See too Elsie B. Michie. On this convention, see Jameson in Archaeologies. For a similar observation on cricket and imperialism, see Baucom. Publication: Tuesday, 28 November 2017, at 23:49. Options: Archive for Joel Simundich. Bookmark the permalink. Follow comments here with the RSS feed. Post a comment or leave a trackback.